As any avid traveller will let on, the best way to explore any city is always on foot, as you take in the sights, sounds, scents, and scenery first-hand. 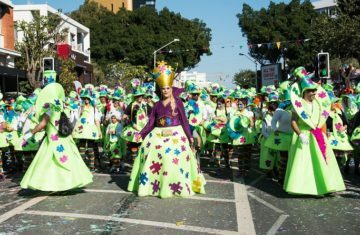 And a guided walking tour is the perfect way to absorb as much as you can by seeing everything up close. 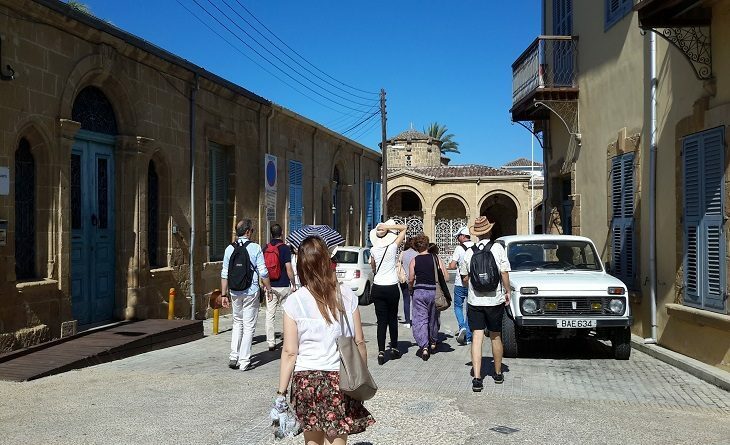 If you’re visiting Cyprus from abroad, or simply wish to familiarize yourselves with places you may not be so well acquainted with, there are some great organized tours that you can join! All walking tours are free of charge and guided by an expert tour guide. All tours take place in English although some tours do offer other language options, including German, Russian, Finnish and Swedish. 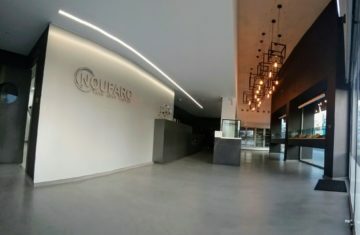 The tours last between 2 to 3 hours approximately, and while you can enjoy regular breaks, visitors are advised to wear comfortable walking shoes, light clothes and sun protection. Where to head to? 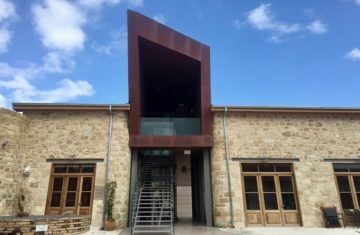 My Cyprus Insider gives you the lowdown on some of the best tours on the island! This walking tour gives you the chance to get better acquainted with the city’s history, leading you past key landmarks in the old town and providing a glimpse of the Venetian walls. 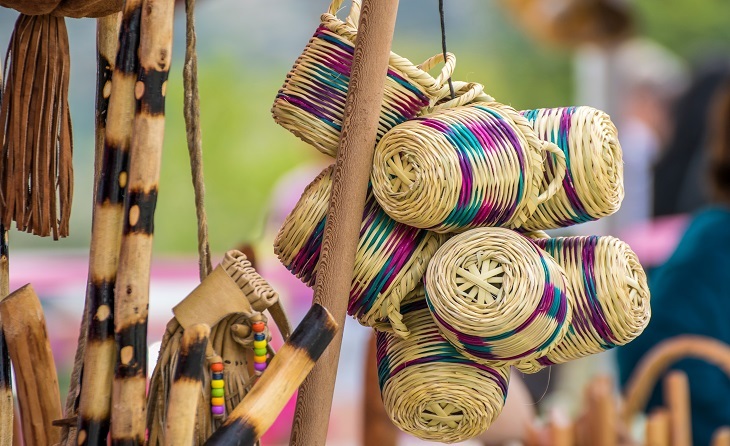 You’ll also have the chance to visit workshops and shops in the traditional Laiki Yitonia where craftsmen such as candle makers, blacksmiths, chair-makers, cobblers, coppersmiths and tailors remain true to their traditional crafts. 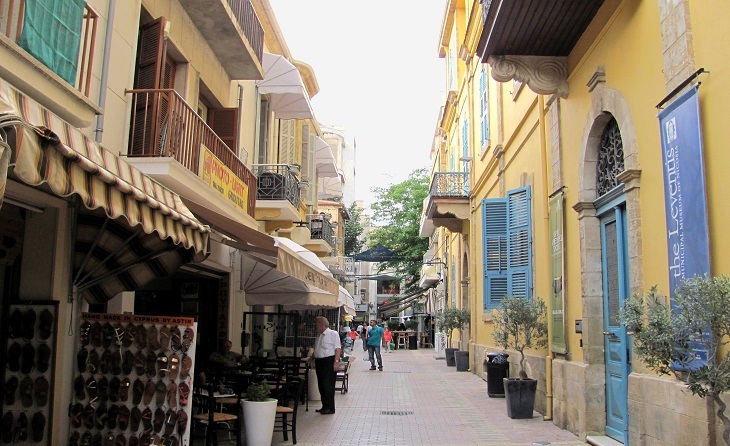 Mainly because of grants from the EU, along with government and private funding, the old city of Nicosia has seen many its abandoned buildings restored and newer ones built in a style compatible with the architecture of the inner city. Along with street revamps, the areas of Kaimakli and Pallouriotissa are now are a great sight in their own right. Take this tour and you’ll visit workshops, churches and quaint neighbourhoods, taking in architecture that reflects the old traditional style of the capital. 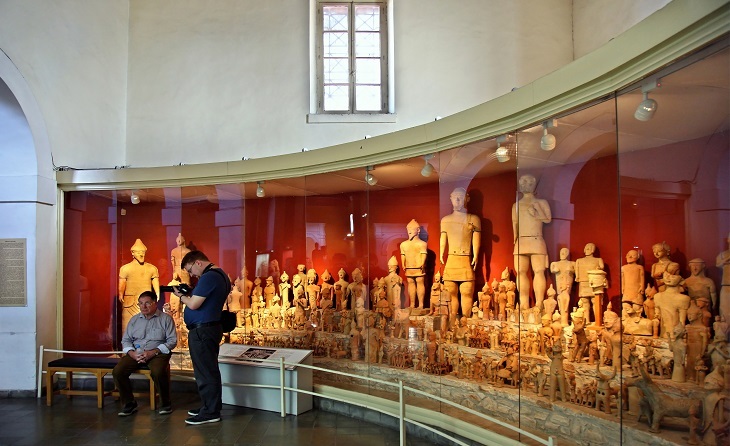 The main archaeological museum on the island, the Cyprus Museum traces the long history of civilization on the island from prehistoric times to the early Christian period. And you’ll catch a glimpse of pottery, jewelry, sculpture and coins from the Neolithic period to the Bronze Age, Iron Age and the Greco-Roman period, cherished and displayed for everyone to enjoy. Star exhibits include the statue of Aphrodite of Soloi, a gold jewelry collection and relics from the royal tombs of Salamis. Do keep in mind that while the tour is free, museum fees still apply. This walk provides a great overview of the history and development of Larnaca, looking at the role that the sea has played throughout the centuries. 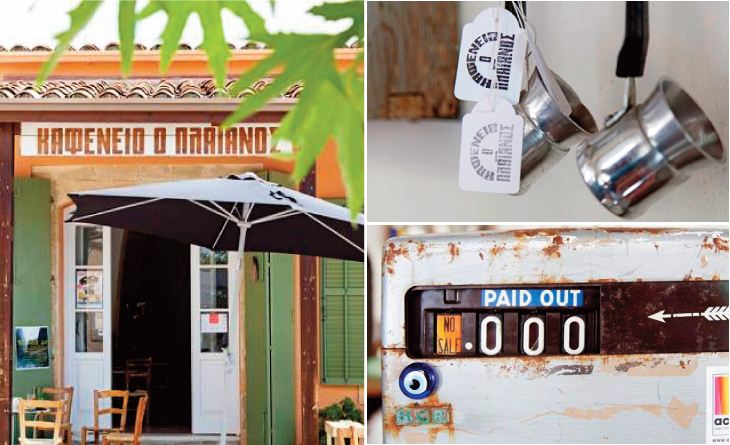 You’ll visit workshops and get to see craftsmen at work, giving you a flavour of Larnaca today and yesterday. Marvel at the old colonial architecture and then head down the Finikoudes palm tree promenade before stepping into the old market. 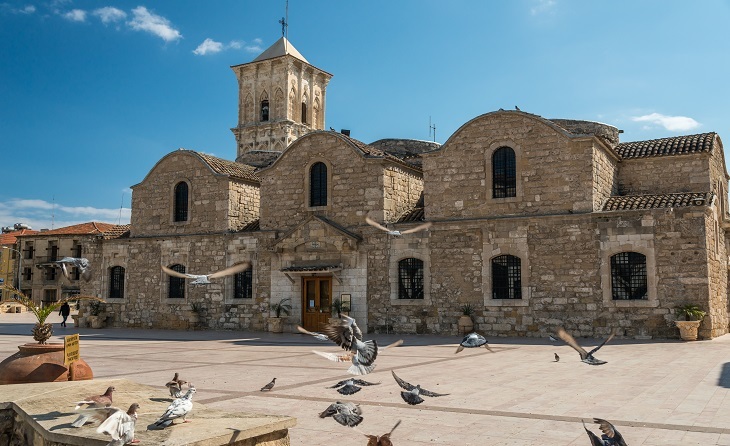 The guided tour will also be giving you the chance to ogle at one of the most important Byzantine monuments surviving in Cyprus: Saint Lazarus Church. This walk explores the area of Scala (a colloquial name for Larnaca but now largely used to refer to a specific area in the city) and you’ll be visiting workshops recently set up by young ceramic artists, many of whom have been inspired by ancient Cypriot art. 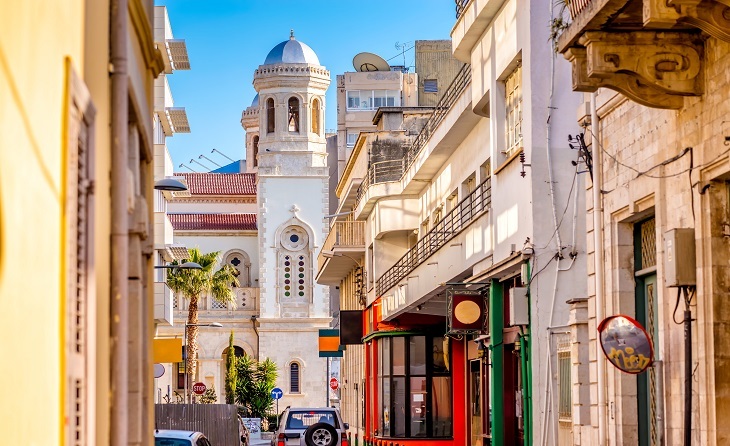 Although Limassol has morphed into an ultra-modern coastal city, this tour will take you deep into the past, as you’ll get to meander through narrow streets to take in traditional workshops, unique architecture, the old market and some lovely traditional shops. 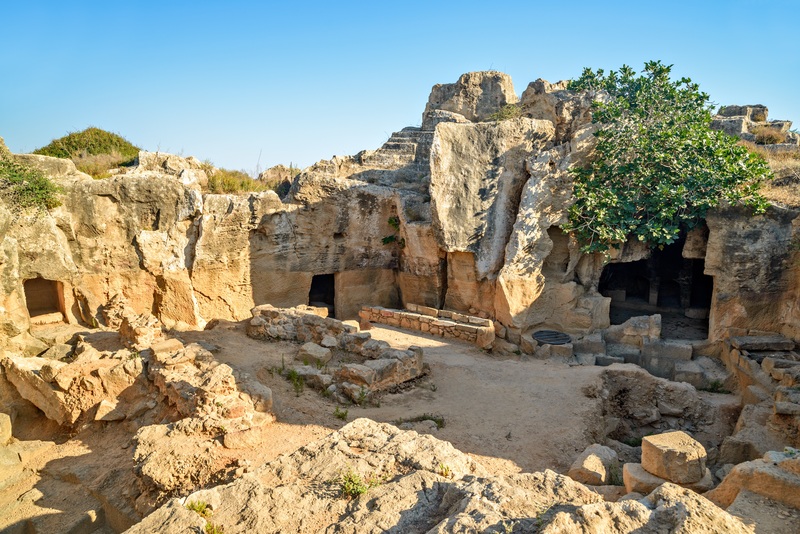 This walking tour takes visitors through the rich history of Paphos, with highly interesting sites to see including Saint Paul’s Pillar, the Agia Solomoni Catacomb Church and the Tomb of the Kings; a large necropolis that stands as one of the most famous UNESCO World Heritage Sites on the island. The underground tombs – many of which date back to the 4th century BC – are carved out of solid rock, and are thought to have been the burial sites of Paphian aristocrats and high officials up to the third century A.D.